© 2011 by The York Daily Record/Sunday News. William Penn Senior High School graduate Maleny Joann Acevedo tosses her cap in the air after York City School District Acting Superintendent Eric Holmes proclaimed her and her classmates to be graduates of William Penn on Friday, June 10, 2011, at Small Athletic Field. About 240 William Penn Senior High School seniors walked in the school's commencement ceremony. 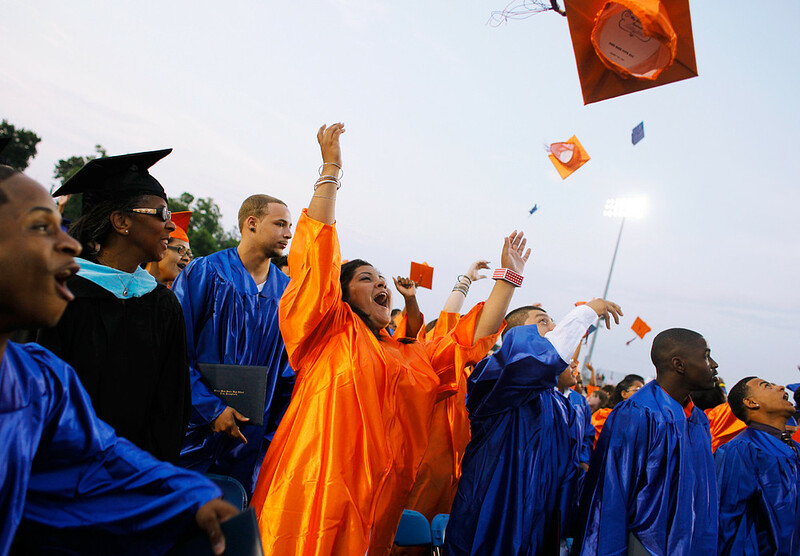 Check out the full list of York County schools’ commencement ceremonies that The York Daily Record/Sunday News has covered over the past week.